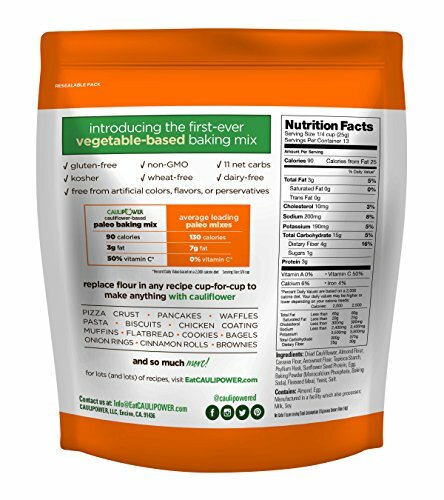 From the company that reinvented frozen pizza - Introducing the first-ever PALEO cauliflower-based baking mix. Now you can have your (cauliflower) cake… and eat it too! 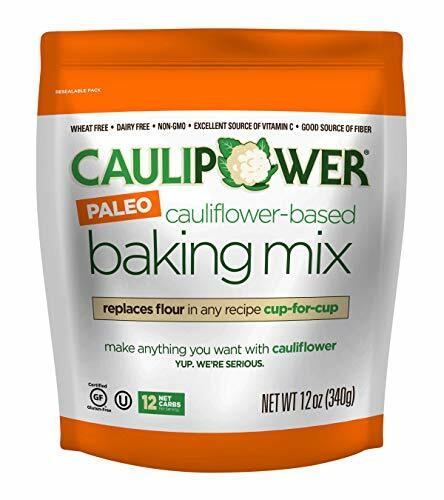 Perfect for making low-carb, keto and paleo-friendly cauliflower pizza crust, pancakes & waffles, brownies, muffins, flatbread, rolls & biscuits, cookies, bagels, pie crust, and any other paleo gluten-free desires. 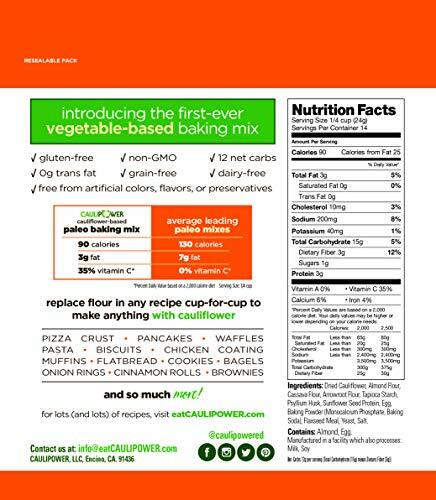 Our paleo cauliflower-based baking mix replaces regular flour in any recipe cup-for-cup!